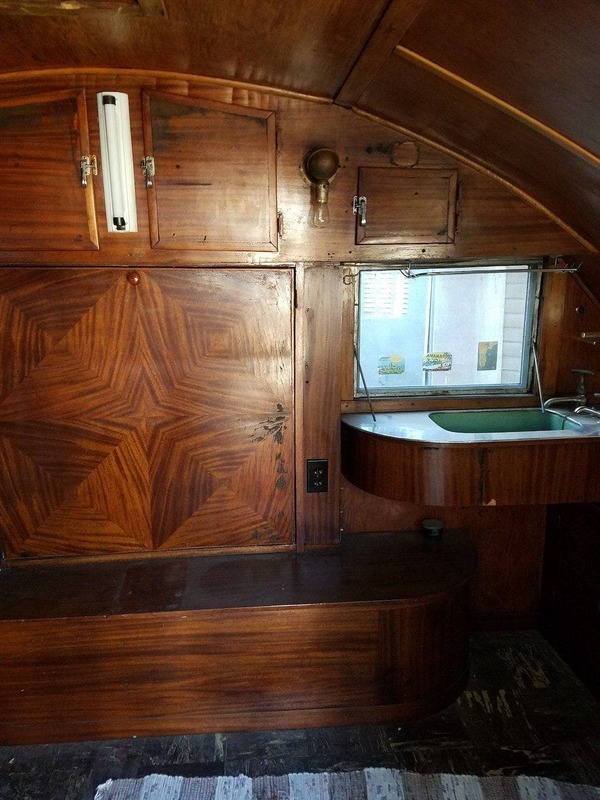 This 1936 Schult Sportsman was built in Elkhart, Indiana and carries production number 1129. 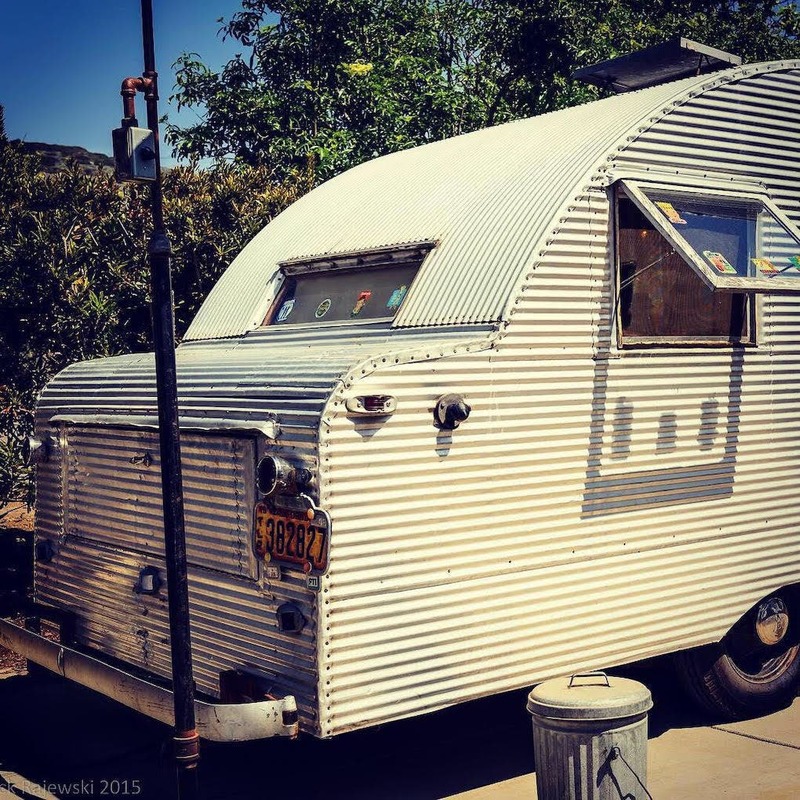 The trailer was brought to California in 2003 by the seller, who is the founder of a vintage trailer archive and research library, and has since been part of a collection used for film locations and props. 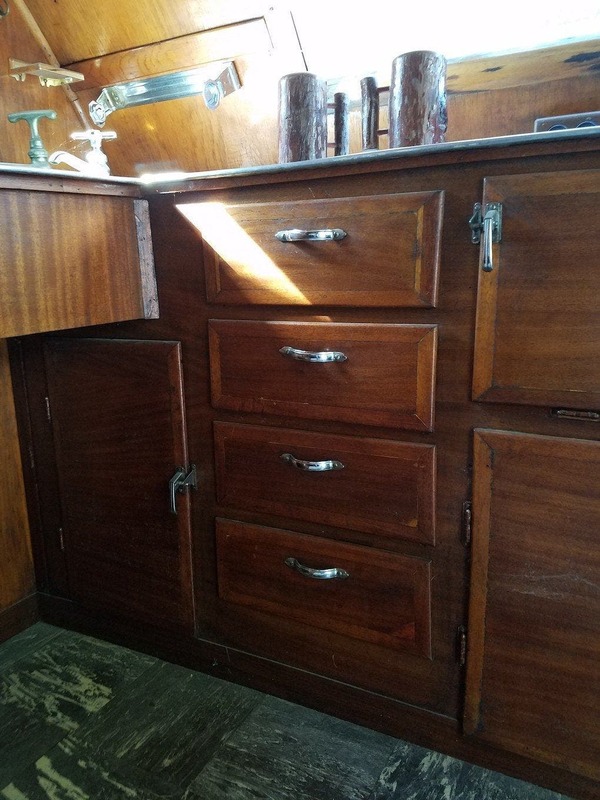 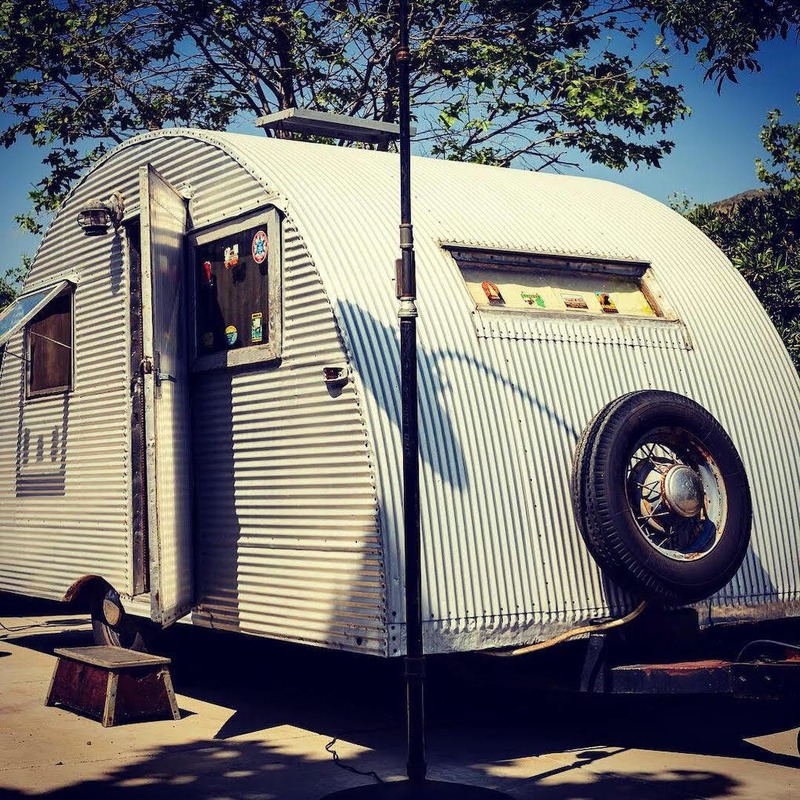 The trailer was originally bodied in Masonite but covered in corrugated metal under previous ownership, while the seller notes the presence of original-style interior finishes. 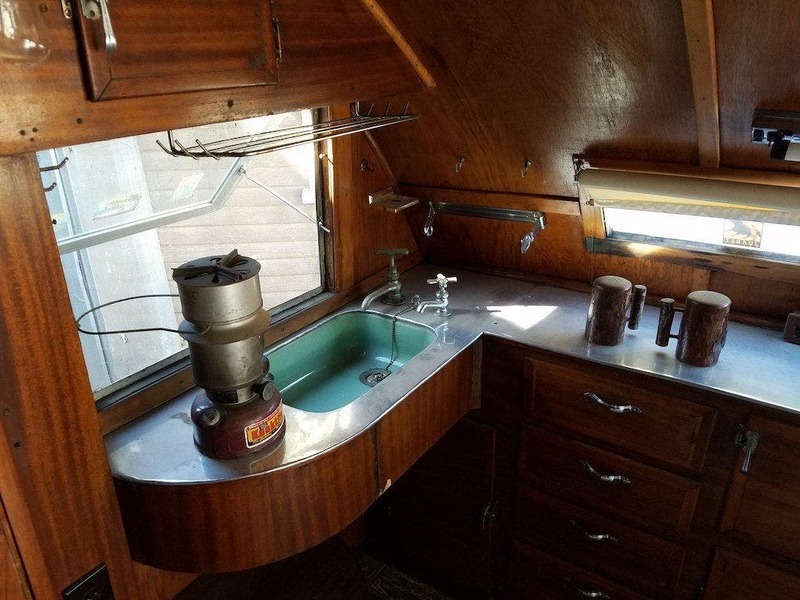 This Sportsman is offered by the seller and his business partner with a California a bill of sale. 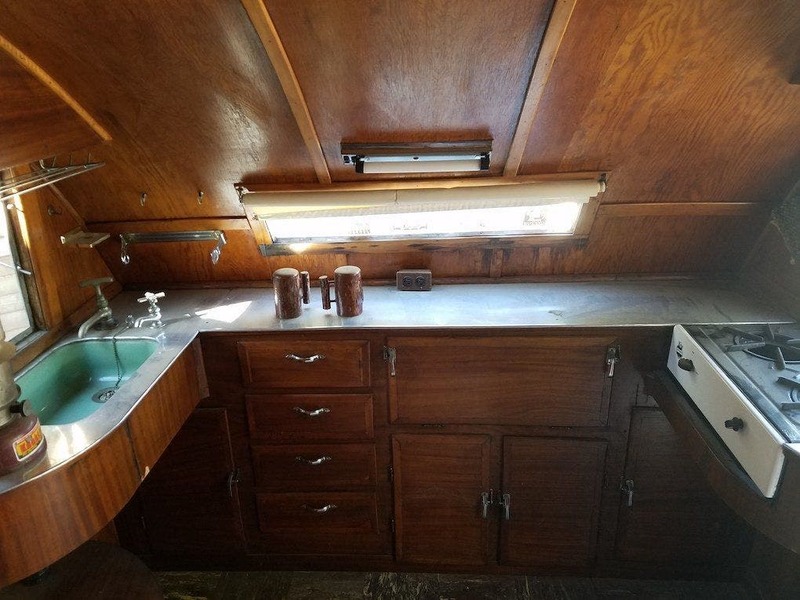 The interior is finished with wood paneling, a sheet metal countertop, and floor tiles. 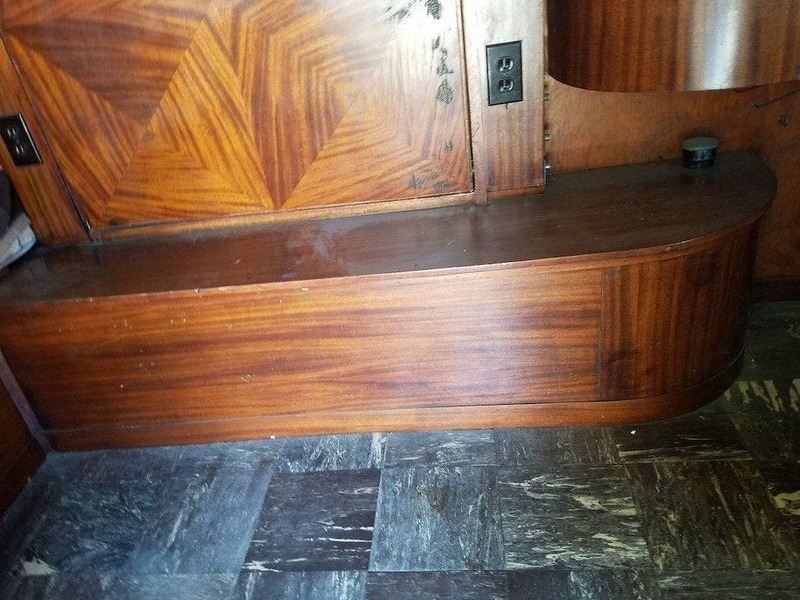 The seller notes evidence of a prior leak where the ceiling meets the sidewall. 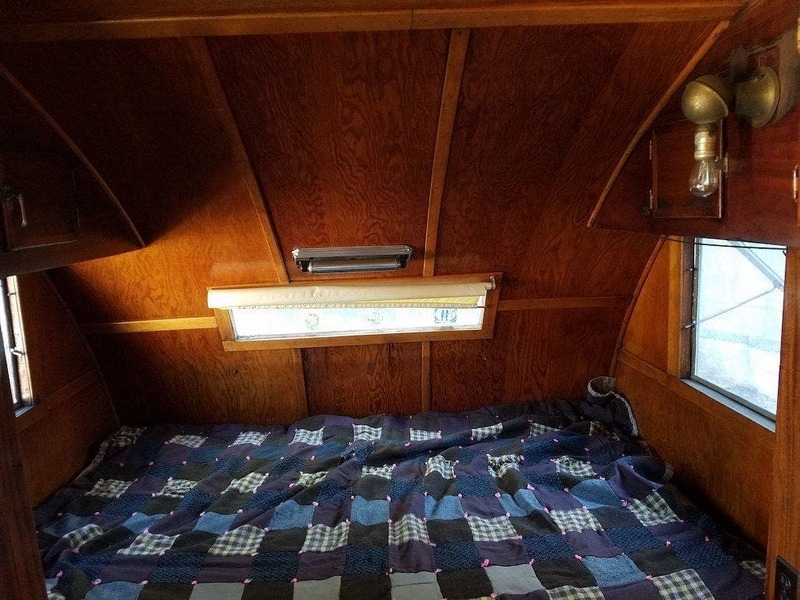 Additional photos of the sleeping area, kitchenette, stove, and cabinets are provided in the gallery below.